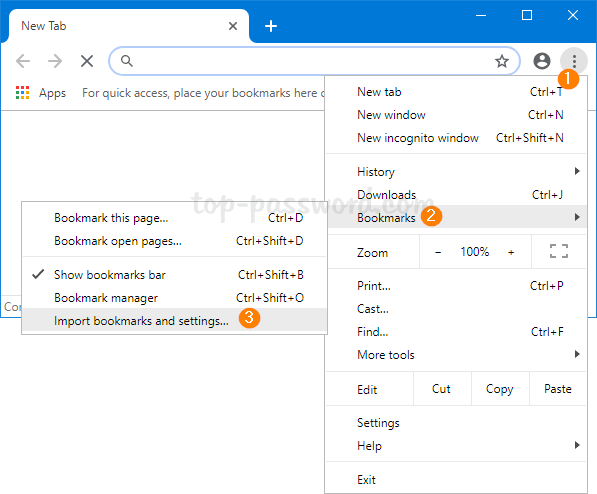 When you start moving to Chrome as your primary web browser, the first thing to do is to move all your passwords and bookmarks from the old browser to the new one. Since Chrome 66, it makes password importing & exporting much easier for inexperienced users. 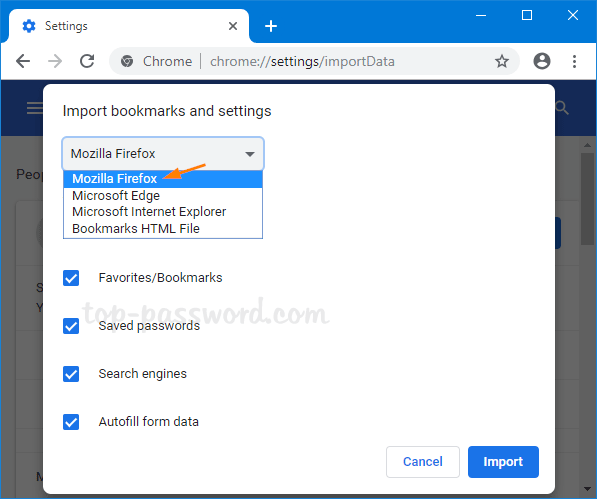 In this tutorial we’ll walk you through the steps to import passwords into Chrome from Firefox in Windows 10. Open Chrome and click the three dots menu button appeared in the upper right corner, then select Bookmarks -> Import bookmarks and settings. The following pop-up will appear. You can select Mozilla Firefox from the drop-down list and click on Import. Make sure the “Saved passwords” is checked. After a while, the migration process will be completed. This method works only if both Chrome and Firefox are installed on the same computer. 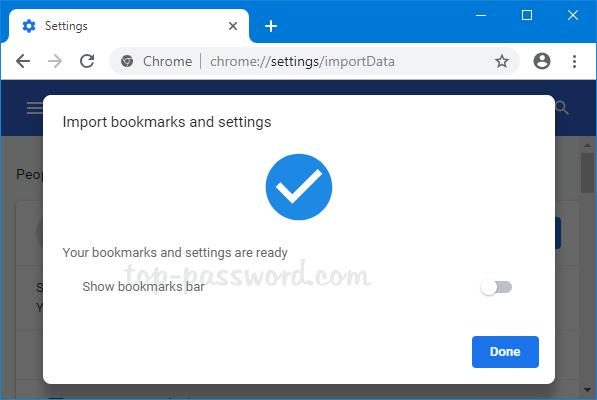 If you need to export Firefox saved password from an old PC, and then import them into Chrome on a new PC, a third-party software like Password Recovery Bundle can help you keep track of your passwords saved in different web browsers.